Congratulations Graduates! Come bring your families and have some refreshments on April 28th before Convocation. Please join us for our Graduation Celebration! There will be lunch, awards, and activities! The BYU Marriott School of Business at BYU is proud to present the 7th High School Business Language Competition (HSBLC). The HSBLC provides an opportunity for high school students to apply their business and language skills outside their school environment. This competition will also provide students with an opportunity to develop their presentation skills in Spanish and utilize their creative skills while developing a business plan. 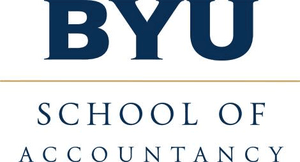 Pre-management students explore BYU Marriott programs and receive mentoring on professional development. The BYU Marriott Closing Banquet is held to unify the Marriott School of Business by celebrating the students' achievements from this school year and reiterating our vision for the future. The program will include a reception, dinner, keynote speaker Dean Brigitte C. Madrian, and the presentation of the Bateman Awards and the winners of the Interdisciplinary Case Competition. Come compete in the Cougar Strong games on April 12 and test yourself against the best athletes at BYU. The participants will earn the title of “Cougar Strong,” receive an event T-shirt and bragging rights. Registration is only $5 and the heats are filling up fast! Register now!